Rank on the first page of Google is Hotter than Jennifer Lawrence isn't it? (Let me know what you think about this in comments). How to rank on the top of Google? 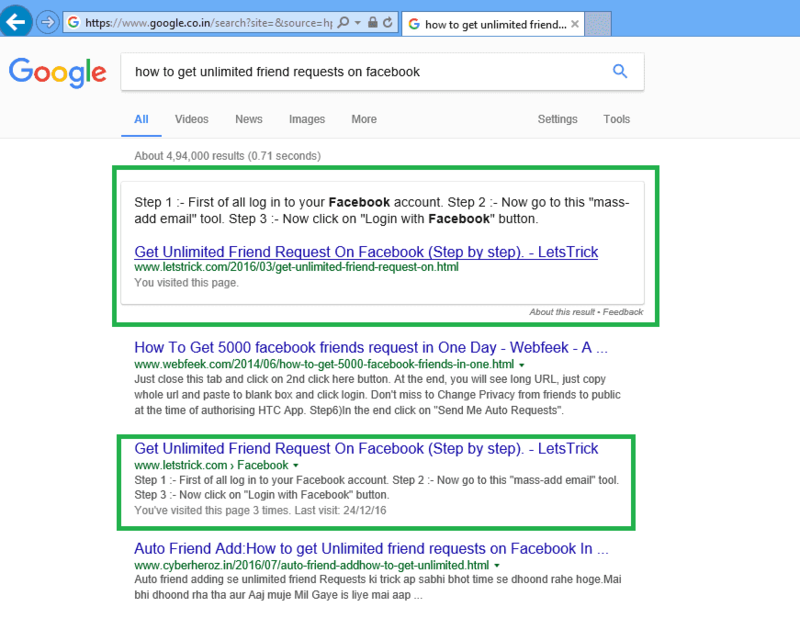 After reading this post, you can rank your post on the top of search engines. Everyone is running for some decent bucks including bloggers, but this isn’t an easy job. But the only hurdle between your payments and your Blog is the search engine (most of time Google). And to overcome this, so called hurdle we all have to do is to rank your blog on the top of Google. Ranking your website on the top of search engines is directly proportional to your earnings. What will you get by listing your site on top? Once you are on the top, you will have to work safer and don’t even think to break any single rule of Google because everyone has their eyes on you. 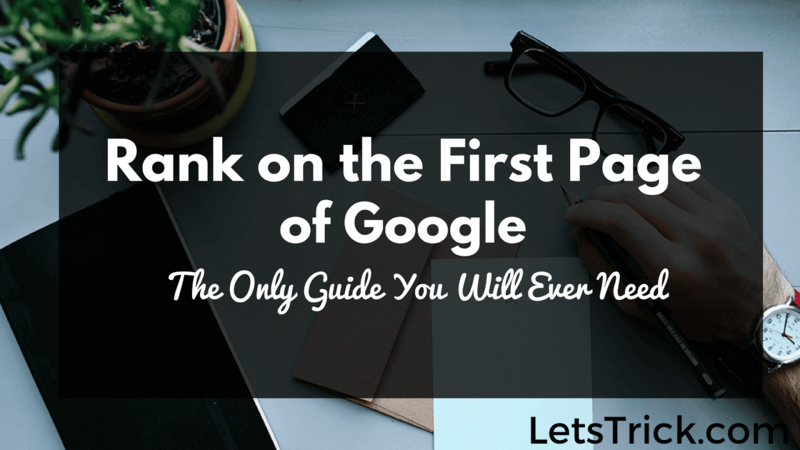 So let’s directly come to the point how to rank on the first page of Google? Please include attribution to LetsTrick.com with this graphic. One of the oldest and expensive ways to getting your website to the top of Google is to spend some bucks on Google Adwords. But this is expensive for a kid who doesn’t have that much pocket money. Hey kid I want you to check out this excellent guide from Darren Rowse from ProBlogger – How to start a blog (Check out this post, if you have done everything what he taught you then let’s move on). First of all obviously do keyword research for your post and make a list of them, here do the best of you because this is the base if your post. 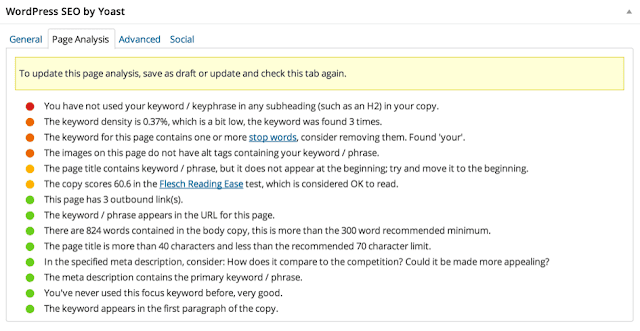 Try to get some long tail keywords; these will help your site more to rank high. Now you can start writing a post which we want to rank. Obviously we all start with post title- The title of your post must be awesomely attention grabbing, so that if someone looks at it can’t stop himself by clicking on it. And the most important thing you must have to take care is to use your keyword in the title. If you are using a long tail keyword, then this is better than simple keyword. Try to move your keyword at starting of your title, this will make your title 100% SEO optimized. Try to add some digits at starting this also attracts people (mostly odd numbers). Why ranking on the top of Google is Hotter than Jennifer Lawrence? I bet this can get more clicks than any other title, now if we talk about SEO optimized title, then you can see the title of this post; I have used the keyword at starting. So I can say this is a perfect example of SEO friendly title. Now once we have written, an awesome title let’s move to the body of the post. SEO Friendly Content- Make sure to write SEO friendly blog post. This is the key to getting your website on Google first page. If you are not writing an SEO friendly blog post, then forget about your rankings. Try to write a long, in-depth content and make sure to avoid grammar mistakes but if your English is weak then don’t be sad I recommend you to check out this excellent guide from Lorraine Reguly’s blog WordingWell- 20 Ways to Be a Master Writer and Improve Your Writing Skills. 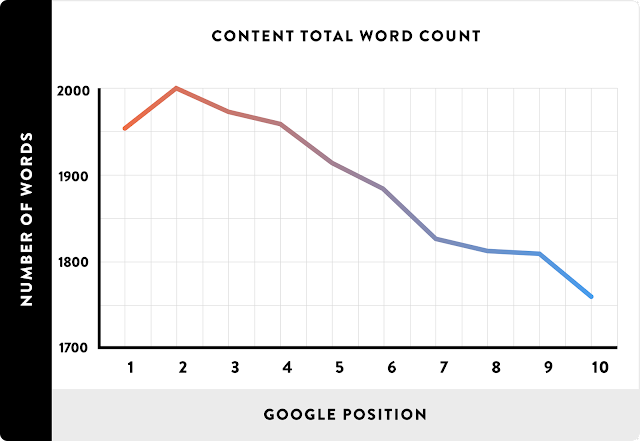 Your content should be in between 1500-2500 words but if you can’t write this much then make sure it’s more than 1000. You can see that almost all the top ranking posts have massive content approx more than 2500. Spread your keywords all over the post and make sure to bold, italic or underline these keywords. Don’t forget to break your content into paragraphs as much as you can. Don’t write more than 2 or 3 lines in a single paragraph because a long post or paragraph looks like a boring content and mostly viewers skip that part. So use subheading while making new paragraphs. Use h1, h2, h3 tags and try to add few keywords in these subheadings. This also helps your post’s SEO. Don’t use too many subheadings and especially h1 tag because we can say h1 tag is your second title and this tag is especially for main headings, so try to avoid the use of h1 tag. If you are on WordPress then I suggest you to use Yoast SEO Plugin and just follow the tips which it provides when we write any post. 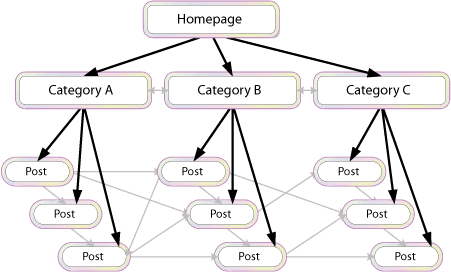 Internal Linking – Never ignore internal linking. Internal linking helps your site to build some trust and authority. Try to link your previous posts in this new post which are related to this post. Don’t link them which are not related to this post. You can also link to your pages like contact us or about us this is also helpful. Mata Description- Now its turn to write Meta description of your new post. 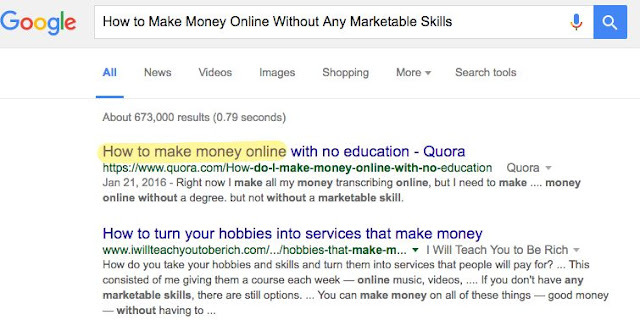 Make sure to add some long tail keywords or a focused keyword in Meta description. Meta description is really crucial. Google will use this Meta description as it is and show it below the title of our post when it comes in Google search results. Now once you have written an excellent SEO Friendly blog post now its turn to add some high-quality images. SEO Optimized Images – Images are the only way to rock your first impression. If you have not used pictures or if you have used low-quality images then almost everyone will shut down your site. But adding a high-quality image in your post is not the last thing, you have to make them SEO friendly. You have to edit name and Alt tag of every picture you use. Again here comes the keyword role, make sure to add your focus keyword in the alt tag of your image and name also, so that your image can also rank higher on the Google image search. This will also count in your SEO score. Add a video in your post- Now we should add a Video in our content. Adding a video to your content will help in getting your website to the top of Google. You can do research on Google, search for any tutorial and you can see that most of the top ranking sites are using videos in their post. So embed one video from YouTube and if this video is not yours then give the owner its credit. If you can make an InfoGraphic than make one because this will rock you post and help you in getting lots of shares and quality backlinks. So try to make an infographic also. Now let’s move to the next section, edit the permalink of your post. SEO Optimized Permalink- Now we have to make our post permalink SEO friendly. Remove stop words like to, from, an, a, etc. Try to short the permalink and remove all the subfolders (10/2017/) before the link. Now we have finished our writing section awesomely, finally publish your post. Yeah, I want to say that please don’t make silly SEO mistakes which almost every newbie bloggers make, should read this post from Ashley Faulkes- 5 Biggest WordPress SEO Mistakes to avoid. Now, it’s time to let the word know that you have published such an awesome post. It’s time to promote you fresh content everywhere. Oops, I have forgotten this, if you have not submitted XML Sitemap of your site for Google then go and submit your sitemap now. You can submit one by simply going to this XML Sitemap Generator. Optimize your site for Mobiles – If your site is not mobile-friendly, then it’s time to make it responsive now. Don’t Panic you don’t need to be a professional coder at all, just go to this Google Mobile friendly tools or if you are on Wordpress, then this plugin can help you out WPTouch. BTW I love coffee, OMG how can I forget this awesome post, Yeah I’m worth the cost of good coffee. Now let’s see how we can promote our post so that everyone will see it. Share on Social Media- First of all use your social media accounts like Facebook, Pinterest, Twitter, Reddit, LinkedIn, etc. YouTube- Make a short video for your post and upload it to YouTube and add a link to your post in the description. You should add this video to your post instead of any other video. Now once you have made a video, you can turn it into a presentation or in PDF and can share on social media. SlideShare- You must have heard about SlideShare, now its turn to use this. Upload your PDF or presentation on Slideshare. From here people will see your post and can check your profile if they liked your stuff and then you have a chance that this visitor can go to your blog also. Do you maintain your subscriber's list? If so..! Email Subscribers- Then email them that you have updated a new post and also request them to share this post. First of all before starting anything about backlinks let me take a sec to remember one of the biggest Backlink Guru in blogging industry and of course my favorite one ;-) i.e. Brian Dean (Backlinko). Sorry sir @BrianDean, let me say something about Backlinks. I know I can't say anything in front of you but let me try my best LOL ;)( I’m waiting for your response in comments <3). Backlinks are the most important way to rank any blog or a particular page of your blog. If you want to rank your post first on Google search for free, then try your best to grab some quality backlinks for that particular page. The must you create backlinks for that post the more your post ranks up but try to get quality backlinks and of course do-follow. So the best way to grab some super duper high-quality backlinks which I learned from Backlink Guru (Ya, of course, I’m talking about Brian sir, now remember whenever I'll say backlink guru I mean Brian Dean) is Backlinks from Guestographics. I’ll not say much about this because he has not left anything for us to write LOL, so just go to this post to learn about Guestographics- How to get backlinks with Guestographics. Try to make some impressive, attractive and useful Infographics and upload them in your post. Now these Infographics will help you to get some high-quality backlinks, for this, you just have to do a little work. Email Outreach- Just search on Google for your any keyword and make a list of websites which are already ranking for that keyword and then just email then and offer them your infographic. So with these examples, you can quickly send an email to bloggers who have already written about your new post, so that they can link you. And don’t forget to watch this Neil Patel’s awesome video about How to submit infographics to infographics directories. Guest posting - Write some guest posts on another high-quality website which is in the same niche as yours. These sites which allow guest posts let us add an author bio at the last of the post and from here we can get one or two high-quality do-follow backlinks. Again here comes the backlink guru, if you want to learn about guest posts in depth then check out his this post - The Definitive Guide to Guest Blogging. Use Forums under your niche – As you already know that there are lots of forums are available on the internet on which lots of people are searching for their problems and other users are helping them with their answers. So you should join these forums and post some answers to help them, and if the forum allows you to post some links then post the link to your post from here, you can get backlinks. Use Commentluv Enabled Blogs- You must have seen commentluv enabled blogs, so just go to these commentluv enabled blogs and post a comment, with these comments you are allowed to post your one link. So just select your latest post which you want to promote, and there you go you have got a do-follow backlink. You should check out this Enstine Muki’s guide on Dofollow Backlinks. Use Slideshare- As I suggested you above to promote your post on SlideShare, but you can also get backlinks from SlideShare. Just add some live links in your presentation slide but make sure to add links to third slide because SlideShare only allows you to add links to third slide. Email Outreach- If you have mentioned any other sites in your post then it’s time to email them and let them know that you have linked to them and don't forget to request them to share your post. You should read this awesome guide from Garrett French if you want to learn all about Email outreach- The 7 Principles of Bulk Outreach for Link Building. Do a Google research on your keyword and make a list of top ranking websites may be top 100 or 50 and email them with an effective kind pitch to tell them that you have posted something related to their stuff, so if they like your post, then they will link to you and share your content. So these experts have lots of followers, so their fans will check out your post, and if they like it then they will also share it, and the chain of the share goes on and on like this. You can write guest posts on other high authority blogs and leave your new post link in your author bio box but make sure to add a link with your focused keyword which you want to rank. I recommend you to read this awesome, helpful book written by Huyen Truong - Blogging the Smart Way “How to Create and Market a Killer Blog with Social Media"
You should also check this excellent post from Kissmetrics - 5 Surprising Things the Top Ranked Sites on Google Have in Common (And What You Can Learn from Them). I've done all of these things and I have ranked on the first page of Google. However, you forgot to mention one very important thing: TELL A PERSONAL STORY. No one has the same story. Each of us has unique experiences. Google wants original content. Personal content. Unique, yet informative, content. You also forgot to mention updating your existing content on a regular basis. Each time you change something in your post, Google will crawl your website again. 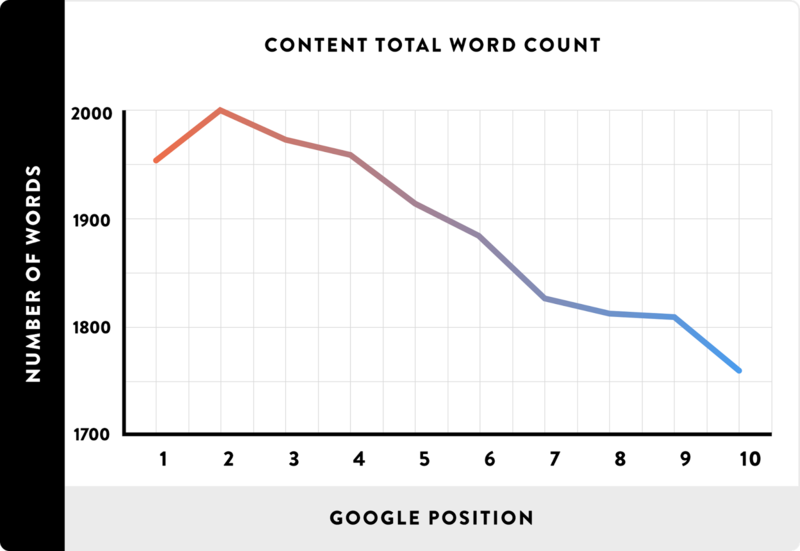 This all helps to keep your content relevant and also helps with your rankings. One other thing you should do before publishing a post is to get someone to proofread it. Correct the typos. Perfect the grammar. Google likes nicely written sentences that make sense. If you can't afford to hire a proofreader such as myself, get one of your friends who excels in English to help you. These are super-important points which you didn't mention in this post. So... take note of these! First of all thanks for your precious time and comment. It's good to see that you have researchedabout this. Ranking on the first page is dependent on who you manage to craft your article. Using the proper heading tags and adding the keywords is important. Many people dream about something magical but there is nothing like that. You have to craft it according to your readers perspectives so that they can relate and share. And yeah I'm completely agree with you that using proper heading tagd and adding proper keywords are important plus I wanna add in this that URL and meta description is also as important as keywords. Yeah a lot of people ask me this question that how to make these animated videos so my answer is that I use an awesome software that is Sparkol, with this software you can easily make animated videos. You can buy this software from their official website (but you know tricks works better). Still have any doubts then you should join me on Facebook I can help you their fast. Have a nice day buddy! Awesome information shared I guess, ranking on page 1 is indeed top focus for all bloggers and this infographics is very useful. Quite informative post. All the mentioned strategies are very effective and we can surely expect good results if followed consistently. Excellent writing, Hemant. I never seen such a detailed post on Google ranking. 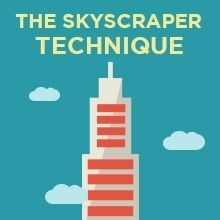 It will give deep knowledge to the bloggers regarding SEO optimization and techniques to follow in writing blogs. Well done ! Hi, I think all these are very important and time saving apps for bloggers and marketers. Hi, I am thankful to you for sharing this awesome article with this helpful knowledge. this is the blog that provide the lots of good information thanks for provide such a good information. Great post! I read this article and inspired from this informative stuff. I think, it is useful for a readers point of view. Keep sharing!